Courtesy of Laura N Sponseller, The Pineapple Group, LLC.. This Cape Cod has style & grace! Located on corner lot in Scot-Greene Estates and built in 2000, this custom home has lovely features including 10’+ ceilings on main, hardwood floors, gas fireplace, built-ins, curved staircase with dual stairs off kitchen and more. First floor Master Suite with office, living areas, large mudroom, quaint & quiet brick patio & private backyard. Upper level features 2nd Master Suite plus bedrooms 3 & 4 with shared full bath and large walk-in attic. 3 car garage and unfinished basement for additional storage! This timeless home is quality-built. 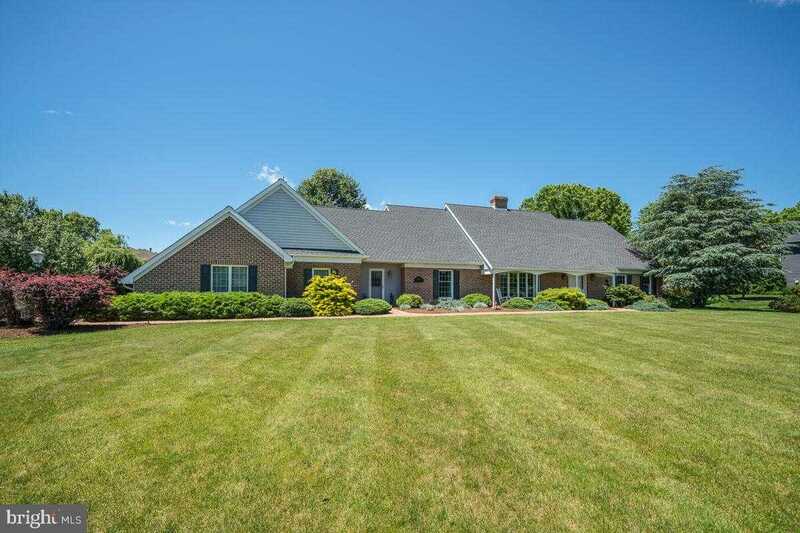 Scot-Greene Estates is located convenient to I-81, town for shopping & schools and adjacent to Chambersburg Country Club offers dining, swimming, racket sports & golf course (memberships available). Please, send me more information on this property: MLS# PAFL164512 – $485,000 – 3213 Muirfield Drive, Chambersburg, PA 17202. I would like to schedule a private showing for this property: MLS# PAFL164512 – $485,000 – 3213 Muirfield Drive, Chambersburg, PA 17202.